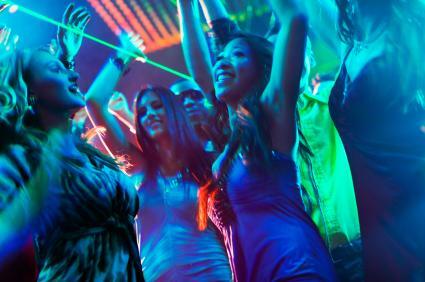 Turn off the lights and get glowing at your next party by making it one featuring black lights. There are many creative ideas to incorporate into your celebration to make it unforgettable for all invited. This exciting theme appeals to kids, teens, and even adults. 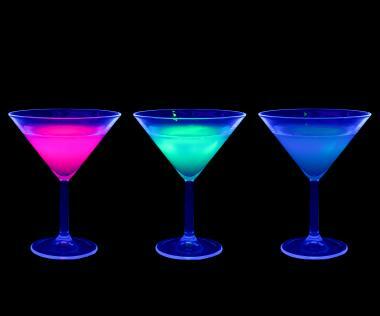 If you are planning a black light party, the first hint that guests will get is from the invitation. You can easily make invitations yourself by using neon markers, glow-in-the-dark paint and black construction paper. All of these items can be found at craft stores. You can also use a premade invitation and attach a glow stick to it with brightly colored ribbon. On the invitation, be sure to indicate if your guests should wear light or white clothing that will glow-in-the-dark. The room should be dark, with no visible light. Cover all windows to prevent light from entering the room. Crack glow sticks and put them in white balloons just before guests arrive. Place them around the room. Scatter glow or neon silly string around the room. Paint clear vases or mason jars with glow-in-the-dark paint for a cool special effect. Get neon colored cups, plates, and napkins to set out where food will be served. If you are planning this type of party in advance and it is around the Halloween season, take advantage of the many glow-in-the-dark decorations that can often be found. 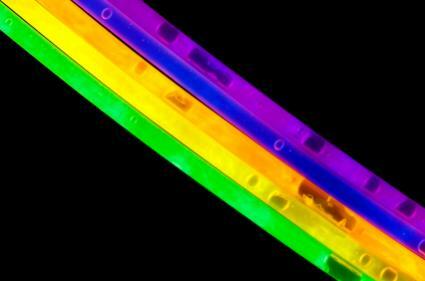 Skeletons, ghosts, and other glowing items are perfect to use at a black light party. T-shirt decorating: Use plain white tees and give guests neon paint pens or highlighters to use to design a shirt. Tonic water pong: Play this game just like beer pong, but use clear cups filled with tonic water. Guests play ping pong and try to get the ball into a cup on the opposite side of the table. Glow horseshoes: Use glow necklaces as the horseshoes and toss them onto a stick. Not only is this fun to play, but fun to watch as well. A black light party has endless possibilities. Keep in mind the age and interests of your guests and tailor food and activities around them. Add a variety of fun decorations and get creative with using black lights to create a party that will make an impression on all who attend.